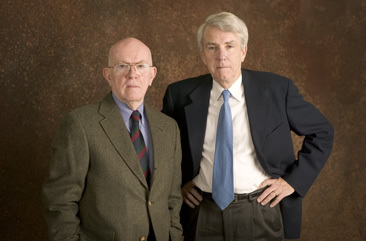 Donald L. Barlett and James B. Steele are one of the most widely acclaimed investigative reporting teams in American journalism. They worked together for more than four decades, first at The Philadelphia Inquirer, (1971-1997) where they won two Pulitzer Prizes and scores of other national journalism awards, then at Time magazine, (1997-2006) where they earned two National Magazine Awards, becoming the first journalists in history to win both the Pulitzer Prize for newspaper work and its magazine equivalent for magazine reporting, and later at Vanity Fair as contributing editors. They also have written eight books.